ELCA Sexuality Vote | The Old Adam Lives! What’s next for liberalism and for the ELCA? You, “new Christian”, you tell me on what grounds that society, or the “new church” should stop this from happening. 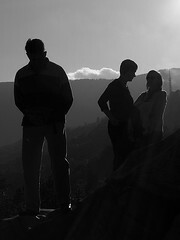 Would it be loving to deny three loving people, who aren’t hurting anyone else, the legitimacy they so yearn for? And why shouldn’t one or all be allowed to pastor a church? Could the “Spirit” “lead us there” , as well? 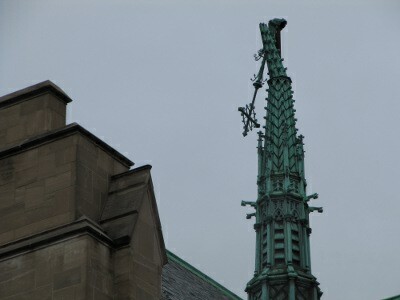 No… not the broken church steeple (split in two) with cross dangling. Not the damage to Central Lutheran Church that the ELCA was using as the church for their Churchwide Assembly held right across the street at the Minneapolis Convention Center. The bigger disaster was the vote to approve the allowing of practicing homosexual clergy in the ELCA. This is a disaster of the highest order. The ELCA has now decided to throw God’s Holy Word right out the stained glass window. Some say that the tornado that hit downtown Minneapolis during the ELCA’s meeting was a message from God. That He was trying to tell them not to abandon His Holy Word. I don’t know if that is true or not. But I do know that the ELCA has abandoned God’s Law in favor of a world pleasing doctrine and that this action will not bode well for the Evangelical Lutheran Church in America. This will quite possibly split the denomination, as there are many good and faithful congregations and pastors within that denomination. These pastors and congregations face some tough days with tough decisions ahead. It is not as easy as just packing up and leaving. There are a myriad of legal issues and alternative associative scenarios that will have to be looked at in depth, discussed, and decided upon. And then there will be some that think that this is a good thing, and who believe that nothing ought be done about it. It is a very sad day for many congregations and pastors in the ELCA and it is a sad day for the church at large. I pray that the Lord will use this travesty to work some good for His Church and for His people.